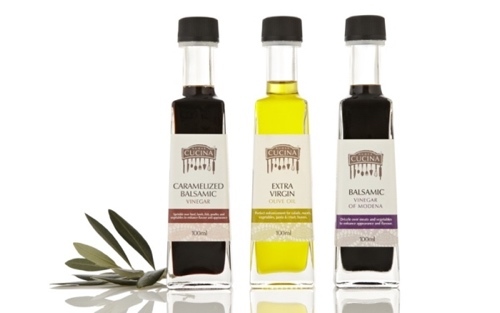 Nuova Cucina Caramelized Balsamic in 375ml glass bottles. 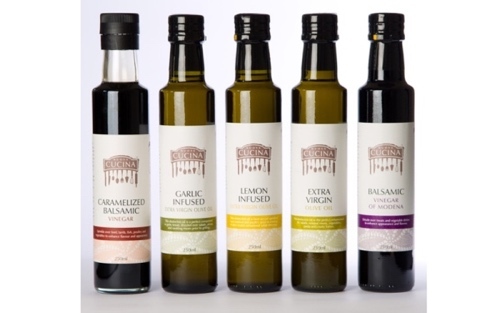 Balsamic Vinegars and Extra Virgin Olive Oil in 250 ml glass bottles. in 250 ml glass bottles. The organisation you represent please . . .
A very tricky security question - tricky to spambots we hope. You will only see the "SUCCESS" message once you click SEND EMAIL and close this window by clicking the X in the top right hand corner. Send us an email to request a copy of our wholesale price list and order form. Sign up here for our regular newsletters about what we're up to, food industry happenings, and general foodie gossip.